Green tea originates from China and has been used for thousands of years. Ionized water and green tea make a perfect health combination. Here are some interesting facts about green tea and why it is good for you! Green tea is an excellent source of antioxidants. Green tea helps with weight loss by increasing your metabolism. It contains polyphenol, an antioxidant that helps burn fat. Green tea helps regulate blood glucose levels and can slow the rise of blood sugar after eating. This can prevent high insulin spikes which can result in fat storage. 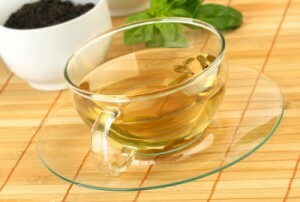 Green tea has a large number of flavonoids, which are plant-derived compounds that are antioxidants. Green tea contains catechins, which are antioxidants that increase the body’s ability to burn fat as fuel. Catechins can also destroy bacteria and viruses that can cause infections. Green tea helps lower bad cholesterol (LDL) and increase good cholesterol (HDL). It also helps block the oxidation of LDL. Brew your tea in a cup of ionized, alkaline water. This water is also packed with antioxidants. 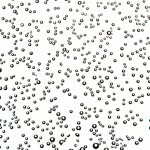 Ionized water is micro-clustered, resulting in smaller water molecules. This enables the water to extract flavor and all of the other benefits, such as antioxidants, from your tea without having to heat it up. Allow the tea to steep for three to five minutes to bring out the catechins. Drink about three cups of freshly brewed green tea every day. These are just some of the health benefits that green tea has to offer. Brew some for yourself today and begin to experience all of the wonderful benefits that green tea provides!